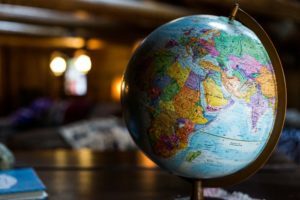 If you are like many of SimplyBook.me users and reside in Canada where it is obligatory to present your website in both english and french, or if you are an official institution in Spain and are obliged to show your website in Spanish, basque, catalan, and valencian or just want to offer your site in more languages, then the Google translate selector may not be accurate enough for you. In fact the Google translate selector may come with dumb suggestions like for the days of week: Sat, Sun, Mon etc then Sun will be translated as the Sun above us instead of the abbreviation of SUNDAY! And with google translate, there is no way to fix such obvious things as they do not allow user suggestions to alter the translation ….. 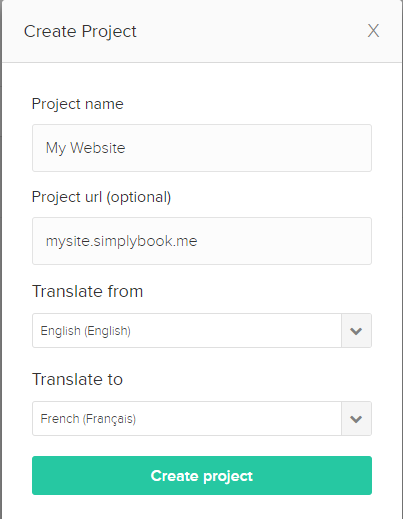 So here are the steps to make your Booking Website with SimplyBook.me multilingual with your own modified translation for your website visitors. 6. While on the Tag configuration page, scroll down to the Triggering and click on it. Then simply choose “All pages” by clicking on it. You are now almost done in the Tag manager, just press Save in the upper right corner, then Choose to Submit, give it some Version name like “Translate mysite nr 1”. 7. Now find the Tagmanager number because you need this for the SimplyBook.me Tagmanager custom feature setup. The Tagmanager number should be on upper part, middle part like image shows. 8. Copy the Tag manager code and go to SimplyBook.me Custome features, and to the Settings of the Google Tagmanager custom feature. Simply paste the code there and press Save. 9. 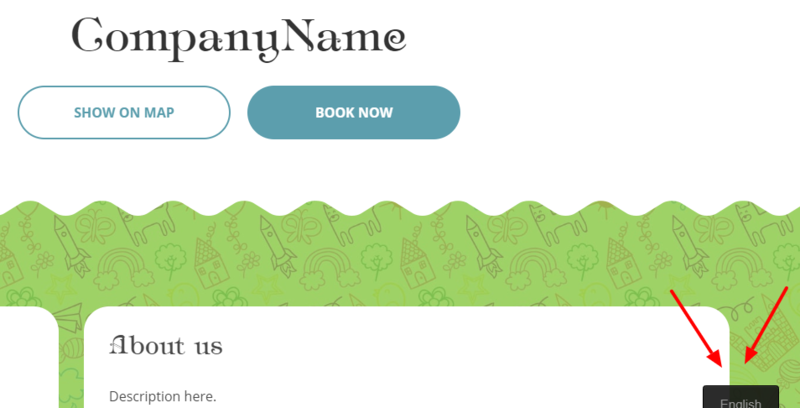 After you have saved this, you can now visit your SimplyBook.me Booking site and on the lower left corner there is now a language selector. 10. You have not yet translated anything so probably nothing happens when you flip it. Go and make one booking so that all the words appear that need to be translated (It is collected in the background). 11. 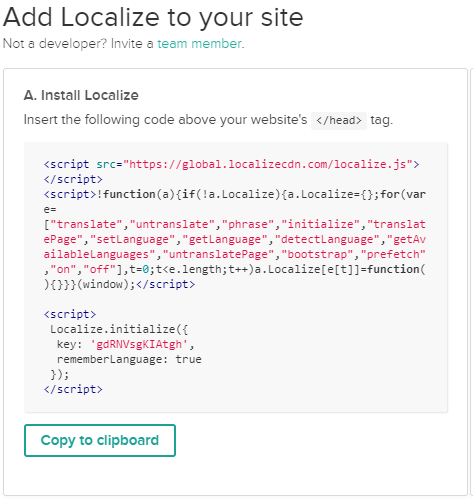 Now go back to the localizejs.com account, Languages and View Translations. You will see loads of words in a Pending list. Click on all those that should be translated, and press the Check mark above list (you may need to go through several pages). 12. The words you choose this way will be moved to Published, and they will be machine translated. 13. Go to the Published Tab, and verify the translation because there will be some wrong things there after the machine translation. Edit and change at will. Your website is now in more languages and translated like you want it! !